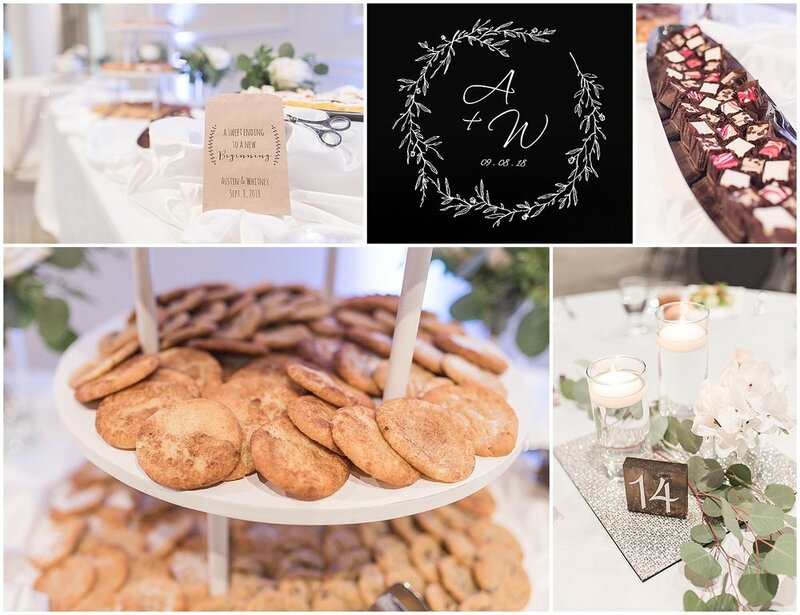 Congrats Whitney & Austin! What a perfectly beautiful wedding day you had. 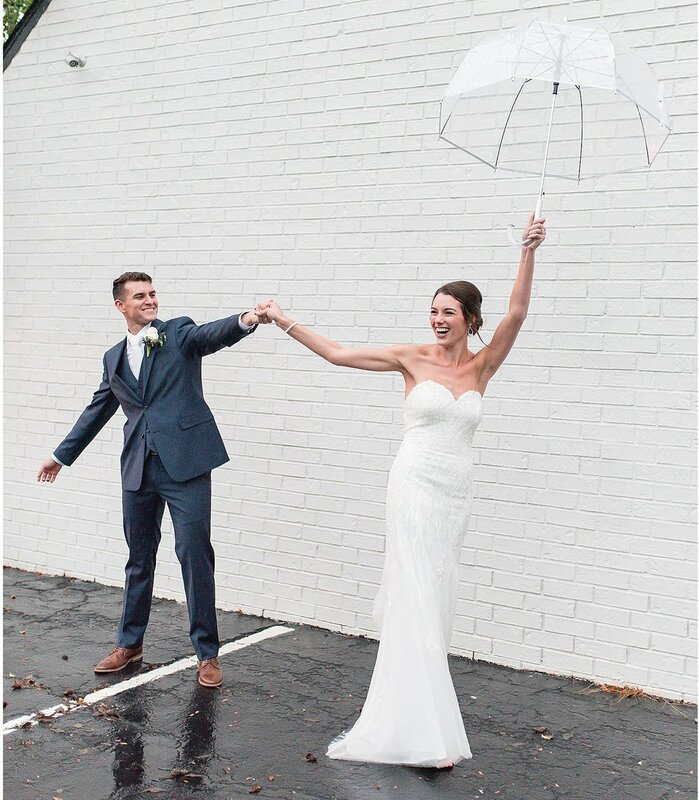 The rain didn’t stop either of you from fully enjoying each moment and each other. 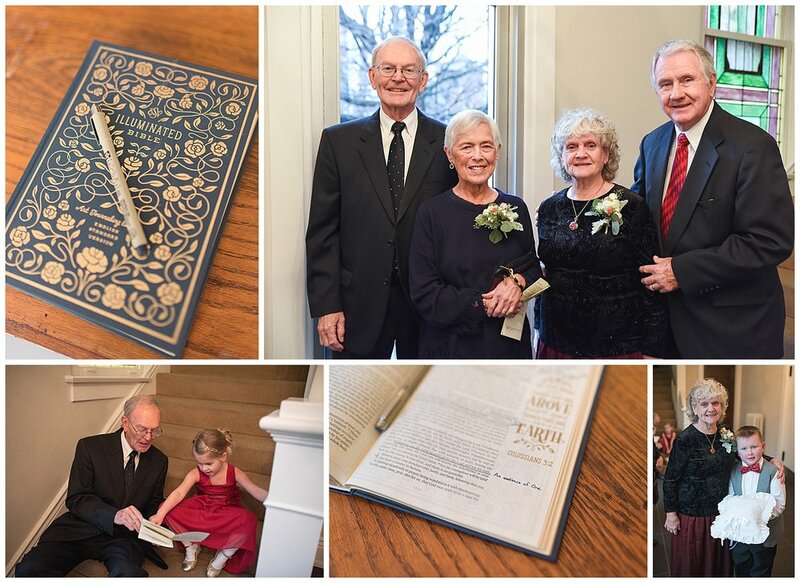 It was such a joy to be a part of the day! The day began at The Nest event center in Greenwood, IN. What a fabulous venue! 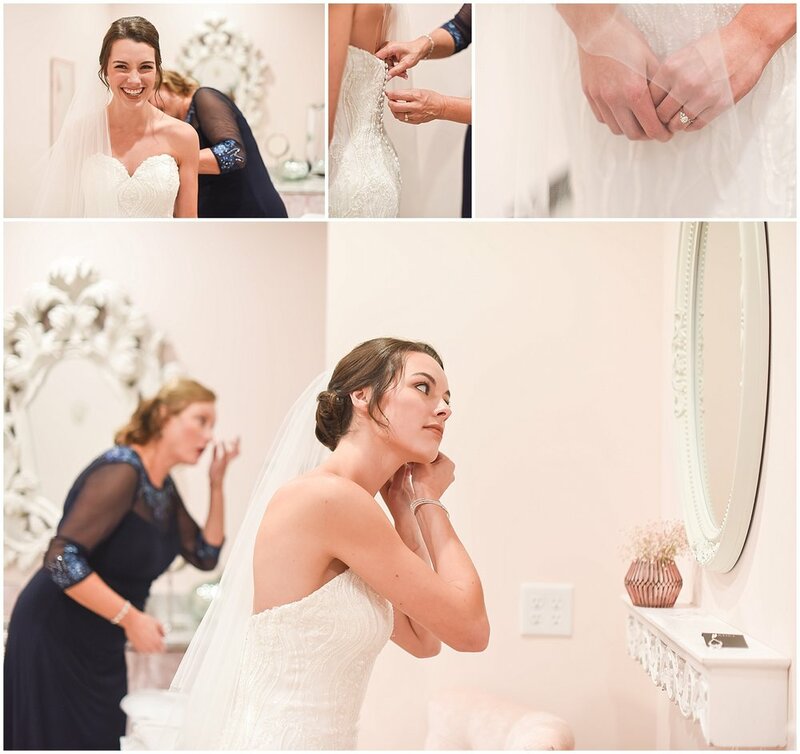 The ladies enjoyed time together getting ready and anticipation built as Whitney put on the finishing touches with her mom. Lots of gasps, a few tears, and tons of laughter ensued as Whitney came out to the atrium. 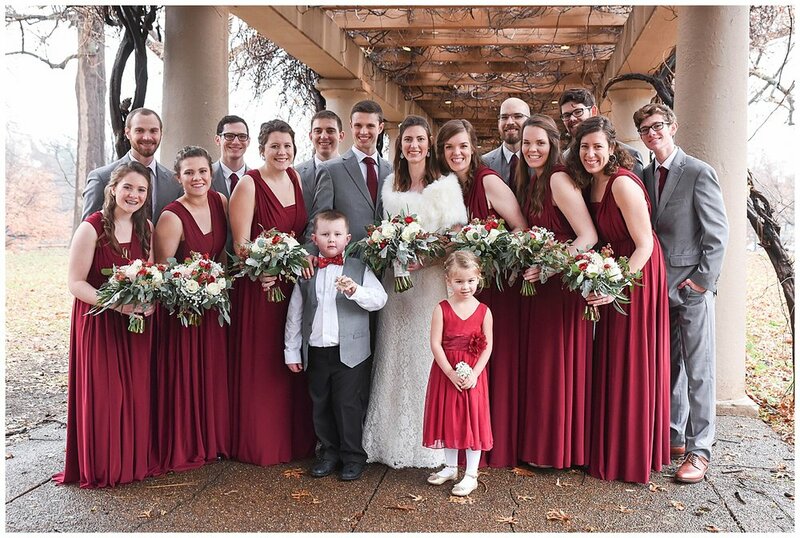 We all snuggled up on the porch for a few pictures then headed over to First Baptist Church where Austin and his guys were busy getting ready as well. Such a gorgeous couple, right??? And the church had the same elegant simple perfection. 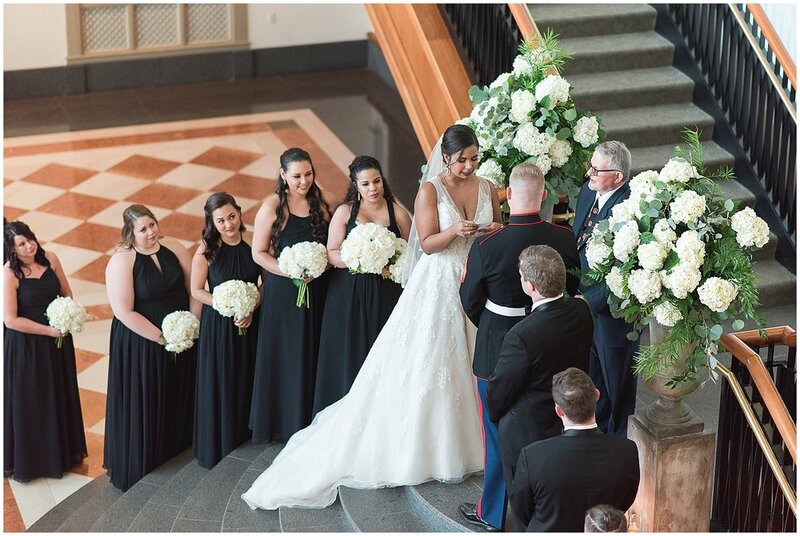 After guests all put their umbrellas aside and grabbed a seat, Whitney and her dad prepared for their walk together to the altar. Austin was smiling in anticipation. Family and friends graciously allowed us a few minutes to play in the rain together for some of the cutest portraits ever. 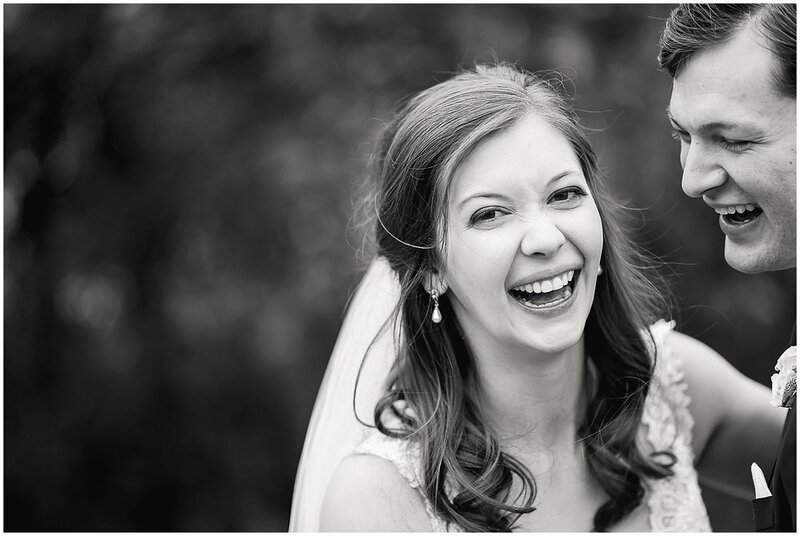 These two will surely endure life’s storms together with finesse, grace, and laughter…just as they did on their first hour of married life. Off to the reception! A quick stop for the photo book, and then they entered with joy. The food was amazing, and the dessert bar was sweetly unique. 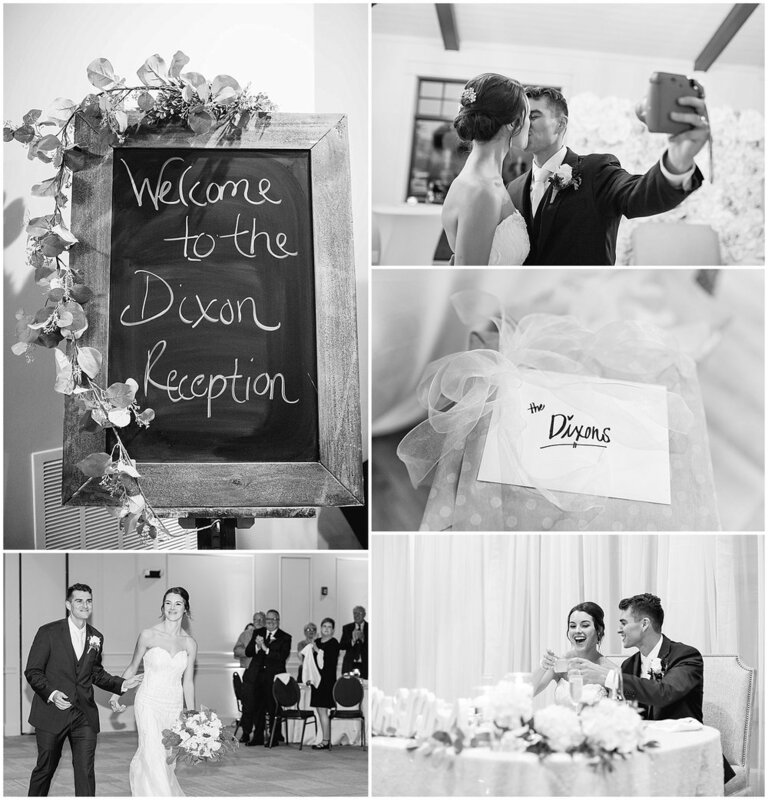 First dance, cake cutting, bouquet toss, and garter were all highlights for the Dixon reception…everything absolute perfection. 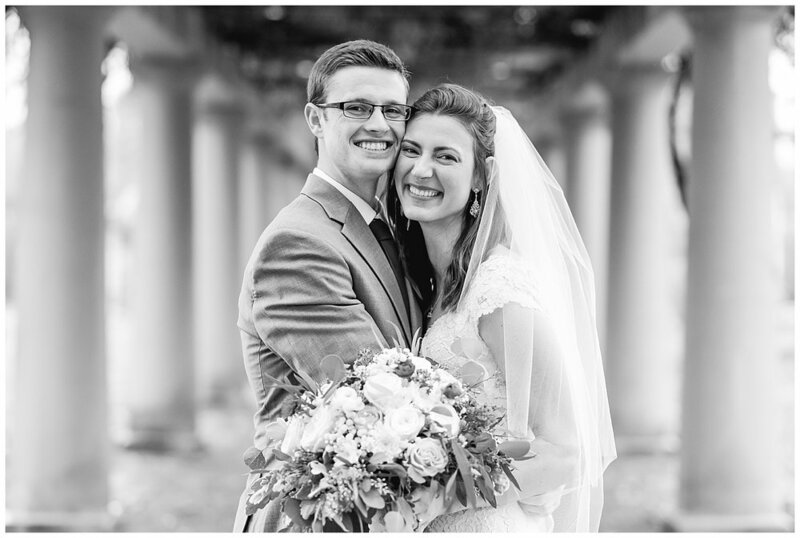 It was an absolute joy and privilege to be a small part of your wedding day Whitney & Austin. May God bless you both in the days and years to come! Special thanks to Rebecca Hampton Photography for enjoying the day with me. 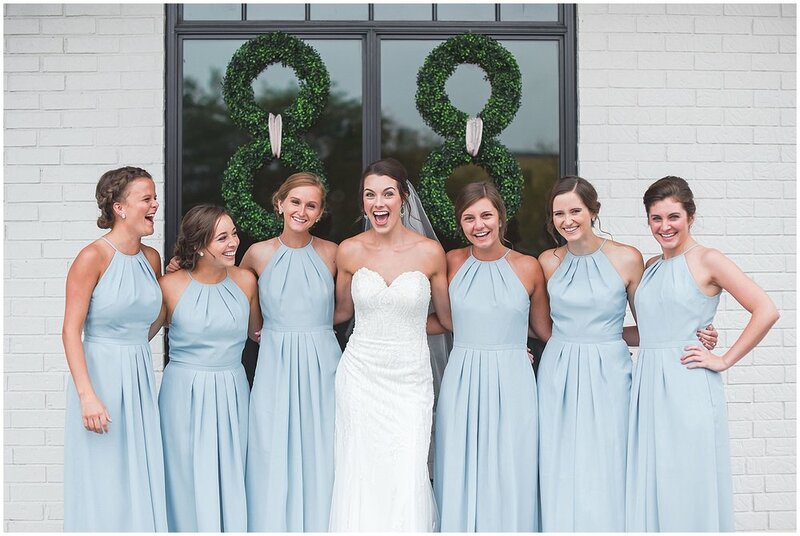 Erin and her bridesmaids enjoyed every minute together getting ready and posing for the camera. Pretty sure I never asked them to smile or pose all day. Meanwhile, the guys were busy getting ready too after a long day at the golf course. 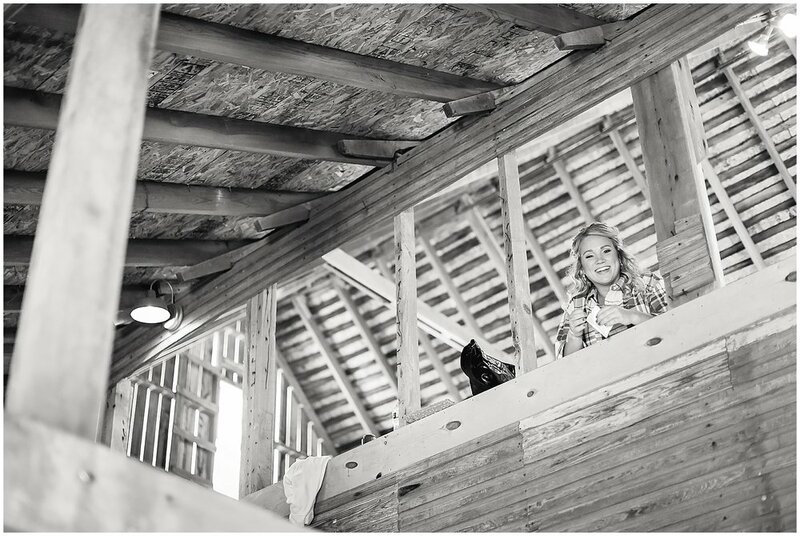 As they made their way to the Barn, the gorgeous rustic decor was perfected and music filled the air already. Married? Check. License signed? Check. Portraits taken? Check. Nothing left but fun! Erin and Jackson entered the reception with flair. 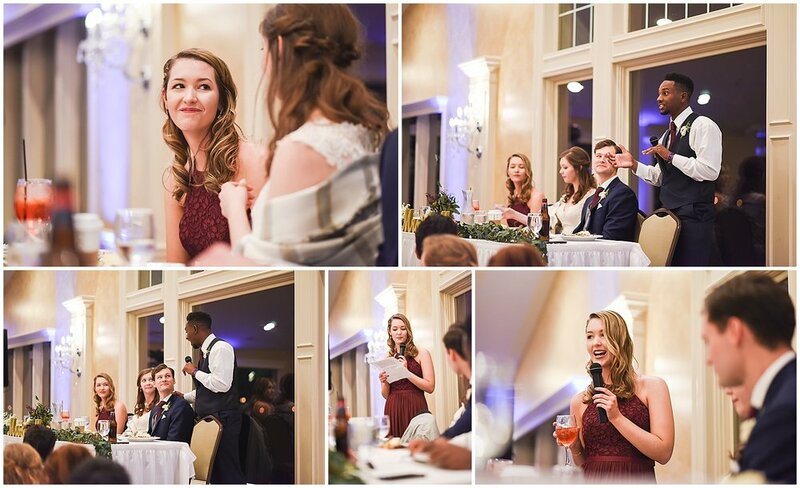 The toasts were simply perfection. And the cake? Heavenly. In all of my years photographing weddings, I have never ever seen a dance floor this full the entire night. No matter what music played, this crowd nailed it. Empty chairs were everywhere. Absolutely amazing. 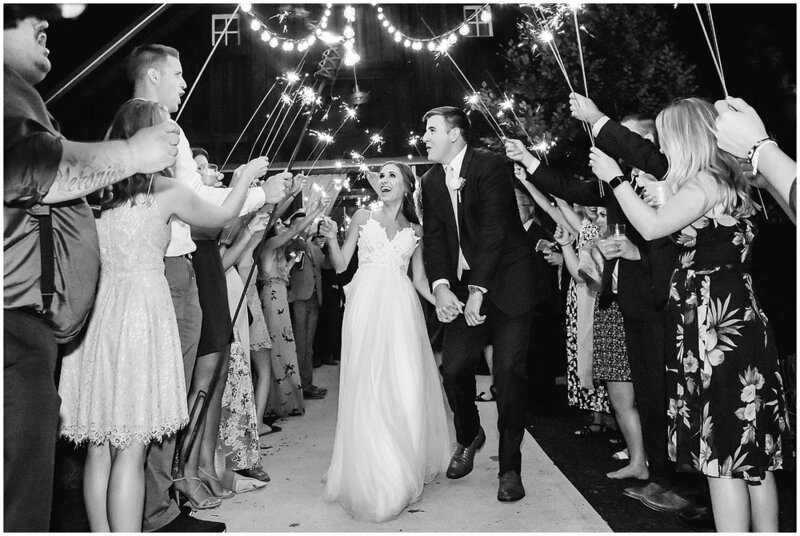 With a romantic sparkler send-off, Erin & Jackson exited the party of their dreams...only to enter the marriage of their dreams. Congrats to you both. 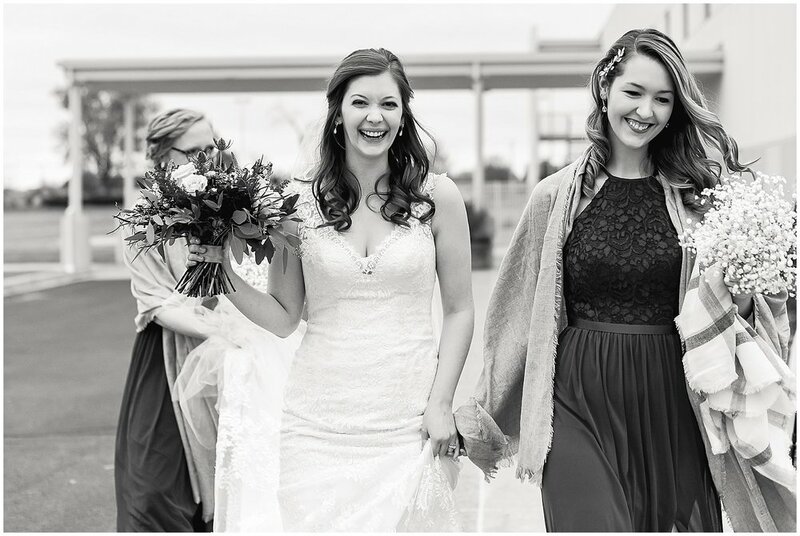 It was a true joy being a part of your wedding day. Special thanks to Rebecca Hampton Photography for enjoying the party with me. Two beautiful people together forever...joined at the most breath-taking ceremony! 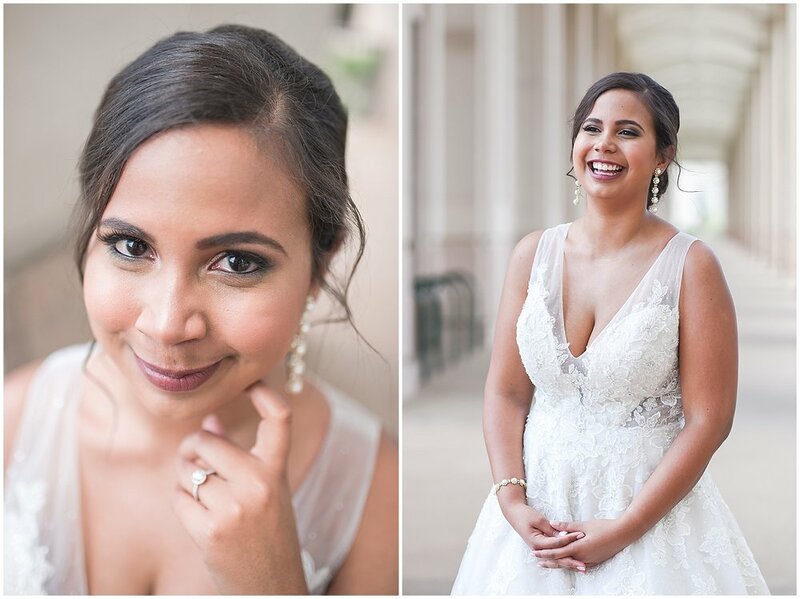 Congrats Alexandra & Nathanael!! 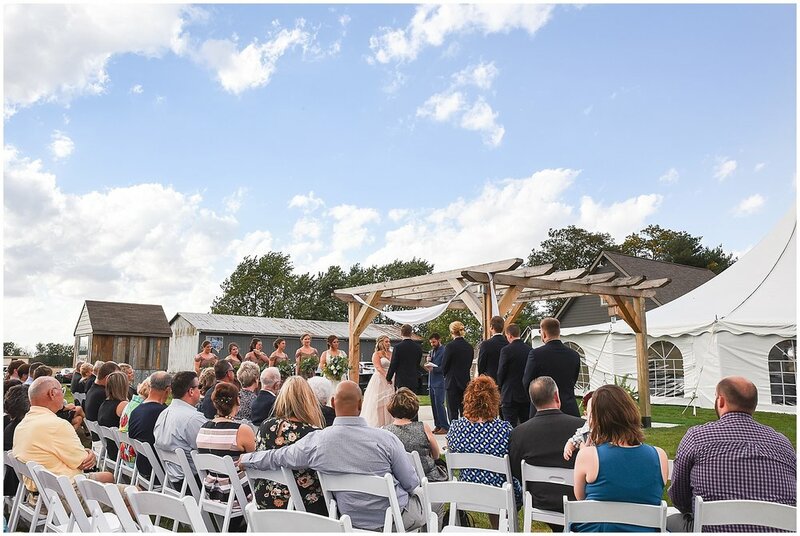 On May 27th, a gorgeous and extremely hot Sunday afternoon, these two began with preparations with friends and family. 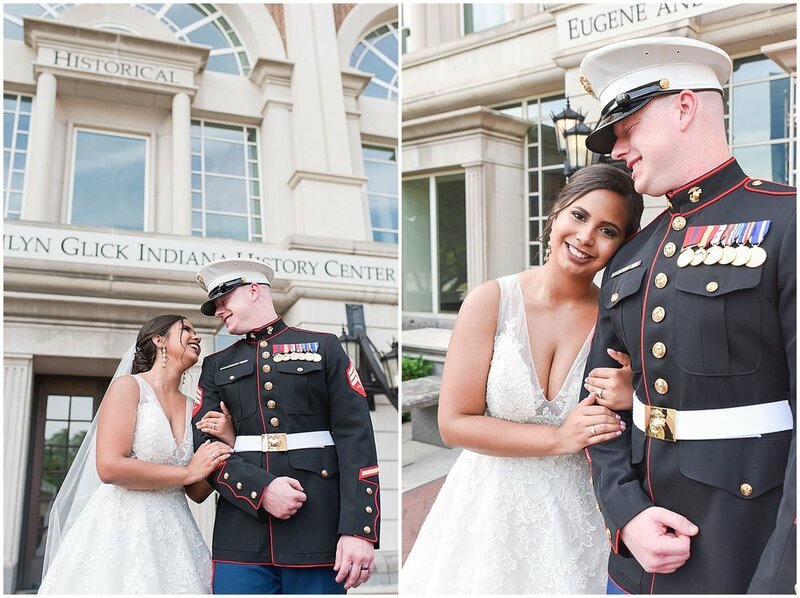 The honorable Marine made sure each button and clasp was secured with perfection, and the stunning bride dawned the most angelic dress and jewelry. Family from all over, including hometown Puerto Rico, ascended on the Indiana Historical Society and breathtaking canal nearby for the celebration. 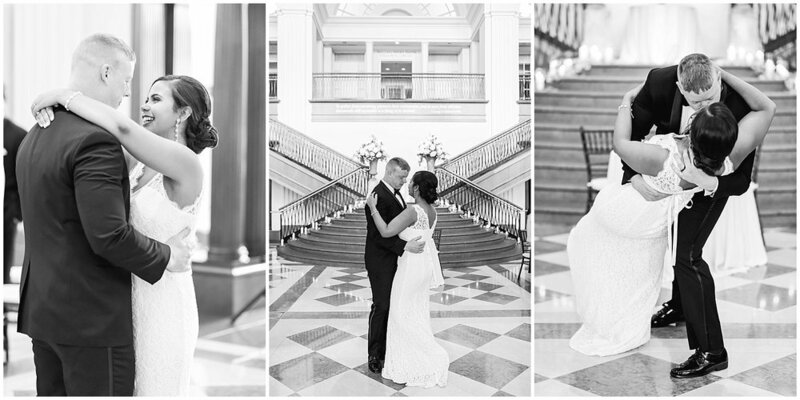 The first look was magical. The moment they had waited for for so long. The bridge over Indy's canal was the perfect spot. 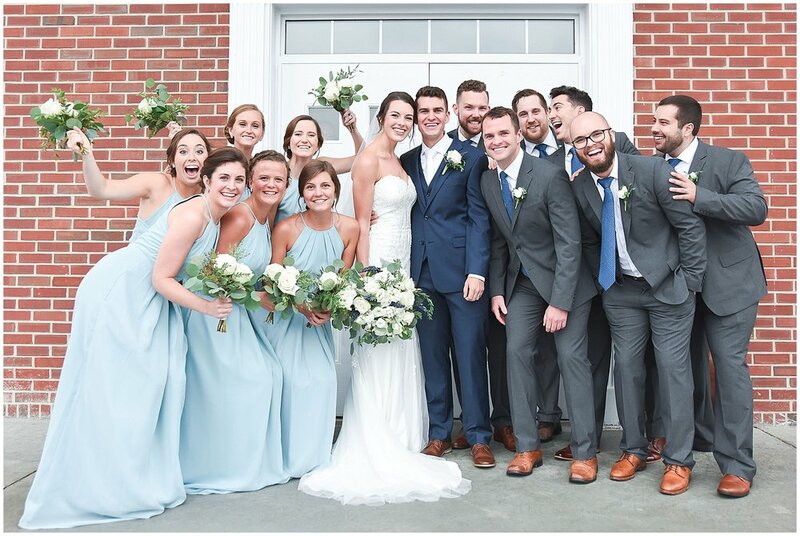 And then...on to bridal party picture fun! Isn't that venue incredible? 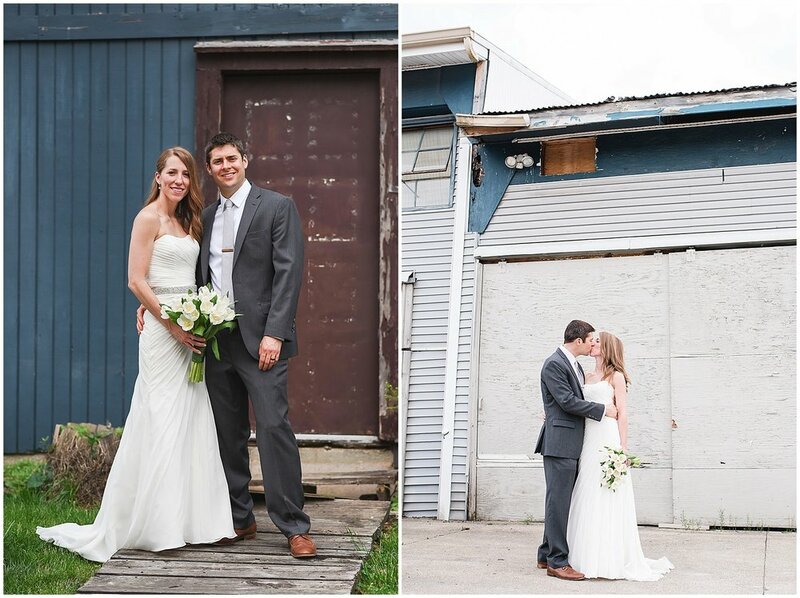 Not as incredible as the new Mr. & Mrs. LaPointe! 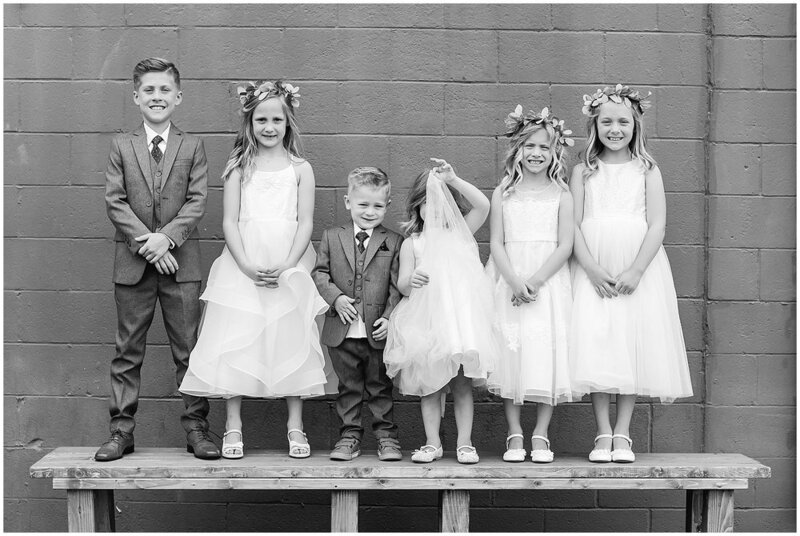 They enjoyed a little time outside together and time with family taking pictures, and then they got the party started. 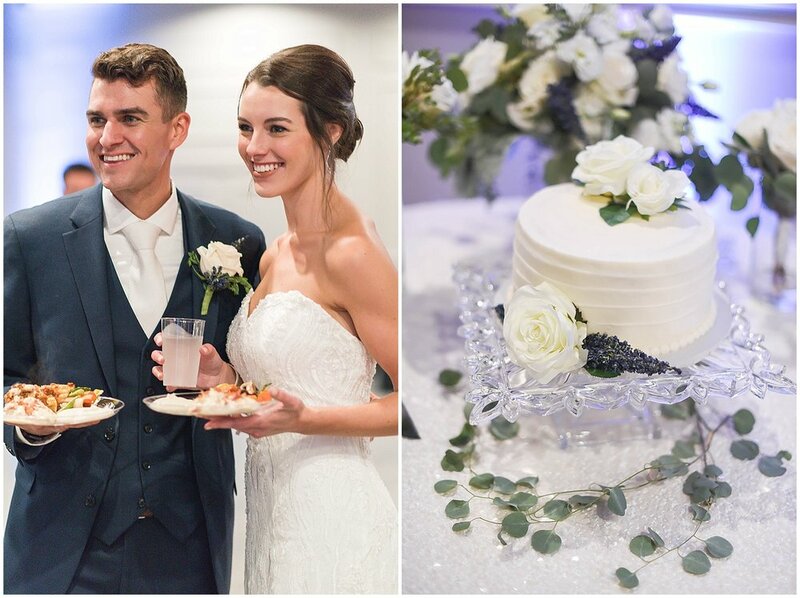 Check out that cake from Classic Cakes and bites from MBP Catering! 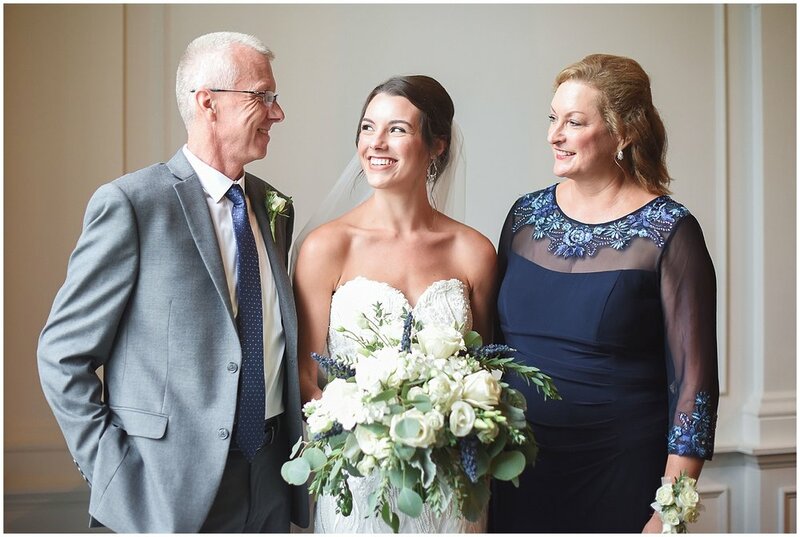 And behind the scenes, Christina Burton Events coordinating everything so well so that all could just enjoy the day and time with the couple of honor. 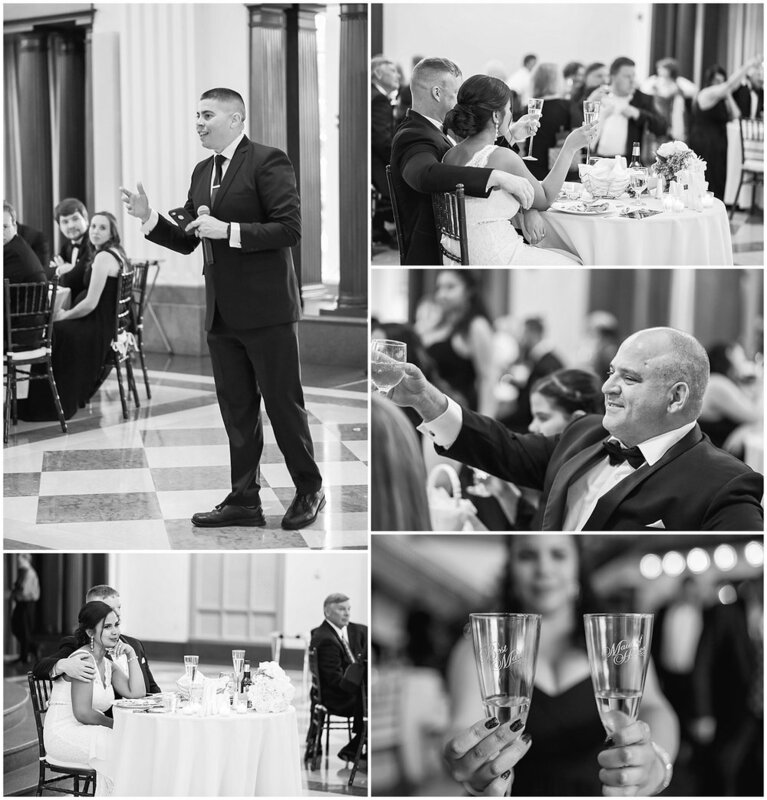 An amazing toast to the new couple and hours of dancing followed. I wish you two years and years of dancing together. May God bless your marriage daily, just as he has done up until now. Thanks for letting me, and the wonderful Rebecca Hampton, celebrate and document your day with you. Congrats Michelle & Philip! What a dream wedding day you had Saturday. 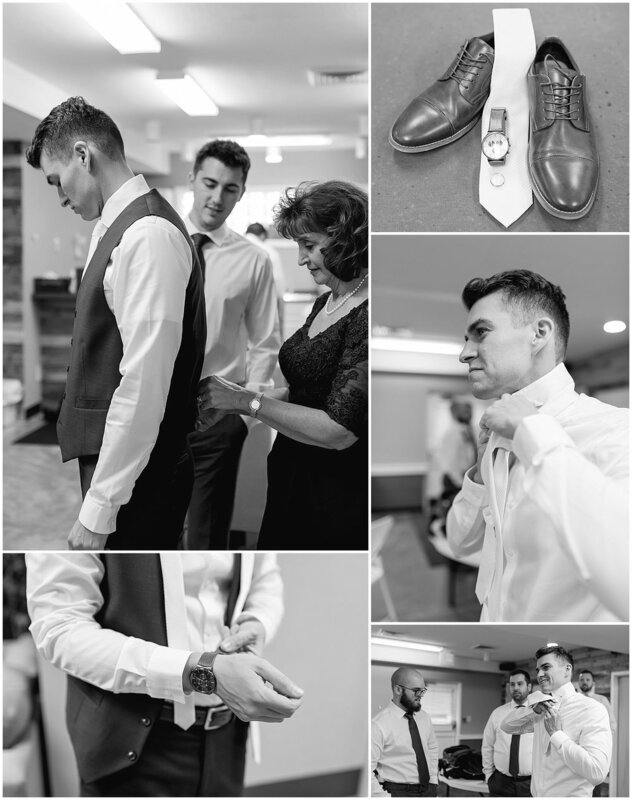 Every detail was perfect...and the smiles and the love you and family shared were beyond perfection. The day started out in the cutest little AirBnB with all the lovely ladies getting ready. 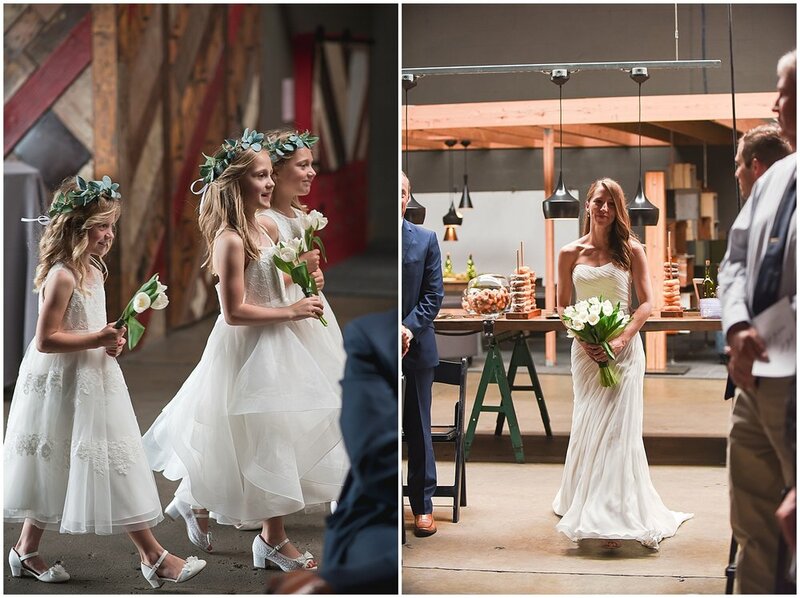 Just look at that gorgeous bride and all the twirling girls with bouncing curls! Philip gave Michelle the sweetest gifts, handmade with his amazing woodworking skills...and a few whoopee cushions to keep the laughs rolling throughout the day. 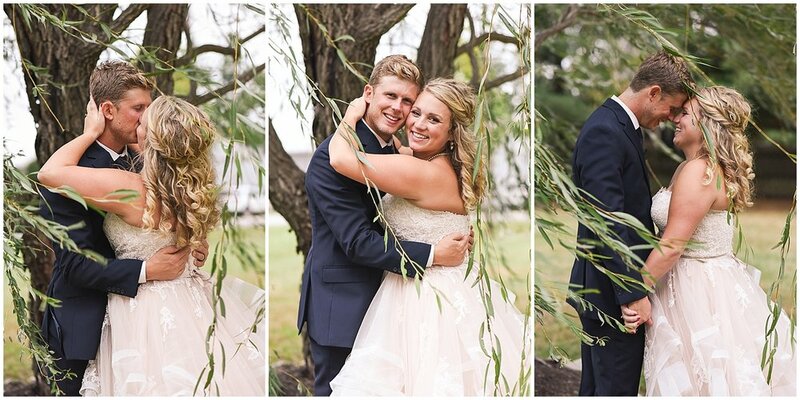 What a fun couple! While the ladies were getting ready, the guys had a different kind of getting ready to do... complements of Bier Brewery (and a bit of apple juice for the shorter guys). 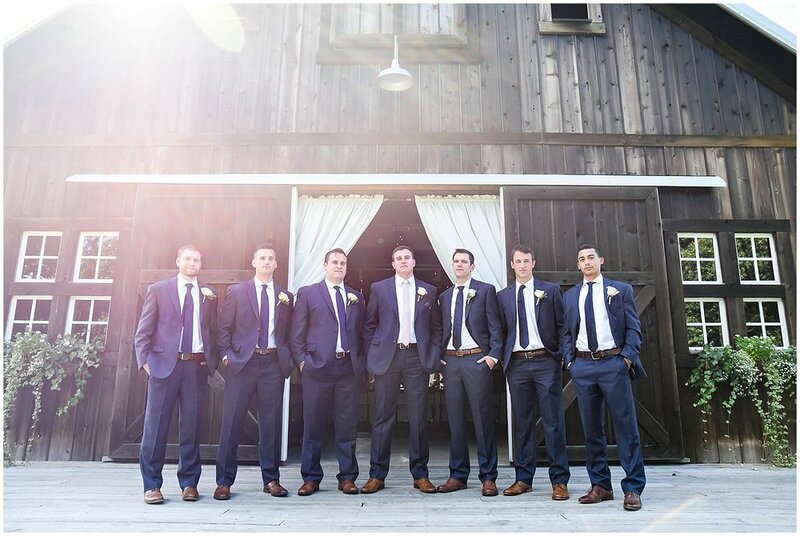 What a great group of guys, with Philip's dad as best man. A few toasts, drinks, and then off to finish off the last minute details, which included Jack Donuts - so creative! Philip's wood working skills once again shined with the donut holders and the beautiful box for the wine, which they later sealed during the ceremony with a bottle of their favorite from Peace Water Winery. 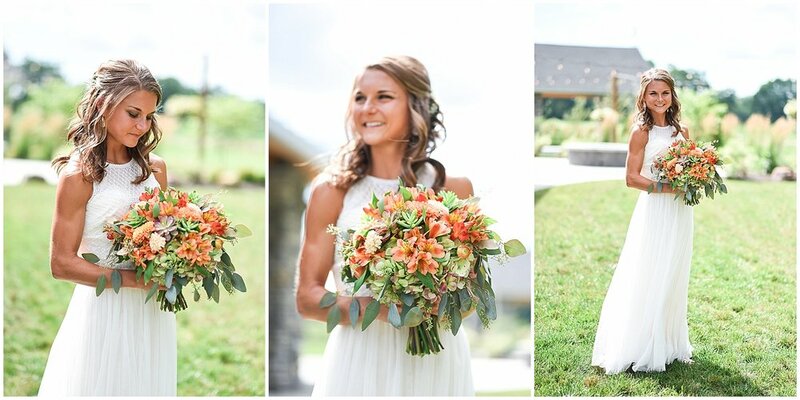 The thoughtful details of this wedding were overflowing. And now for the first look. 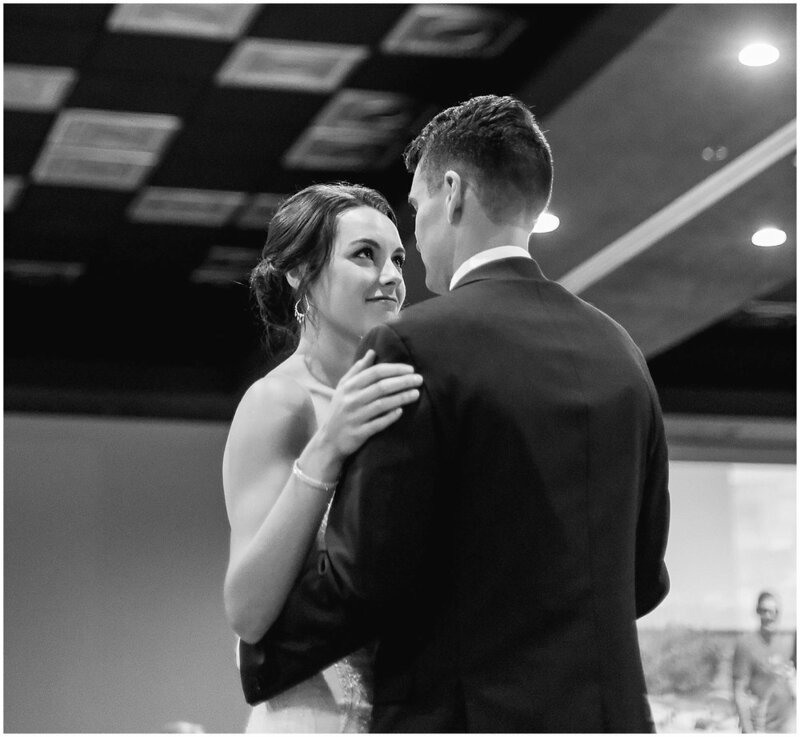 She surprised him from behind, and they enjoyed the moment among friends and family with tons of laughs, a few tears, and gorgeous twirls. 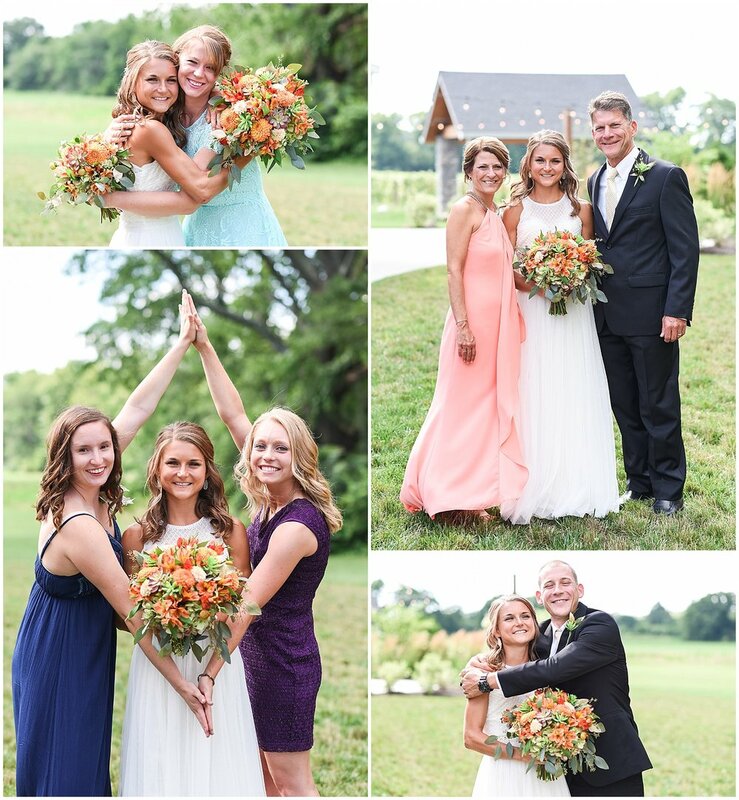 Afterwards, families came together for a few pictures before the guests began arriving. Don't miss the fun socks below, along with tons of other details which capture the day. 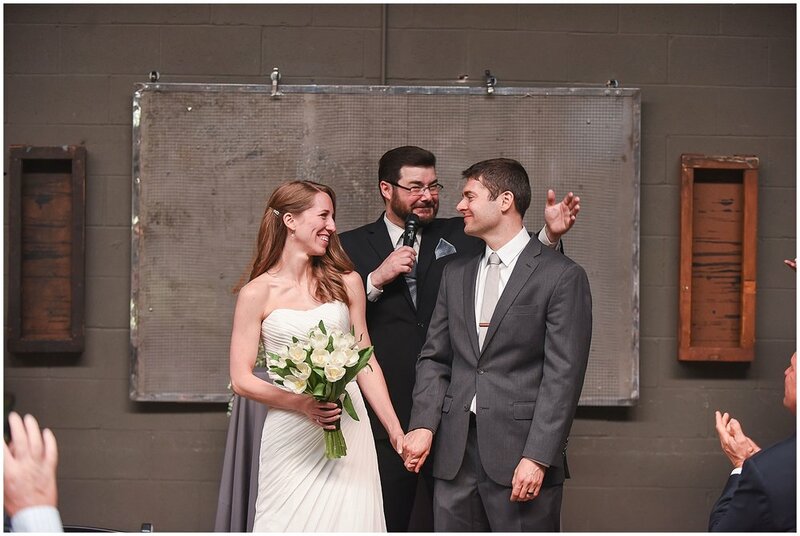 Once all guests arrived at the beautifully unique SpeakEasy Indy, the ceremony began. Simple, sweet, and elegant. Afterwards the celebration began with some fun pictures with the bridal party, lawn games outside, and a casual cocktail hour. 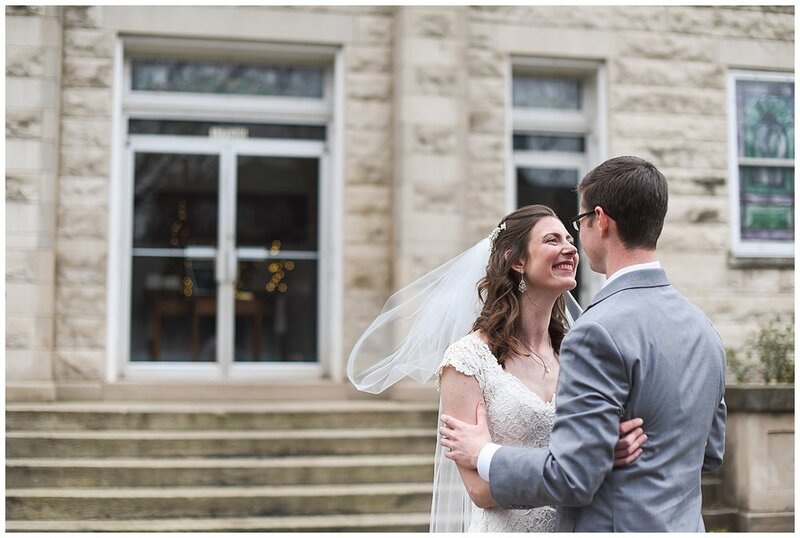 The first dance was just perfection, and then the food truck opened it's window! 5280 Bistro served up deliciously unique meals including the Groominator and Bridezilla sandwiches. Just look at those creations! The dancing continued, interrupted only by cutting the cake. The day was a true party...celebrating this new marriage and all the friends and family joining to support Michelle & Philip. 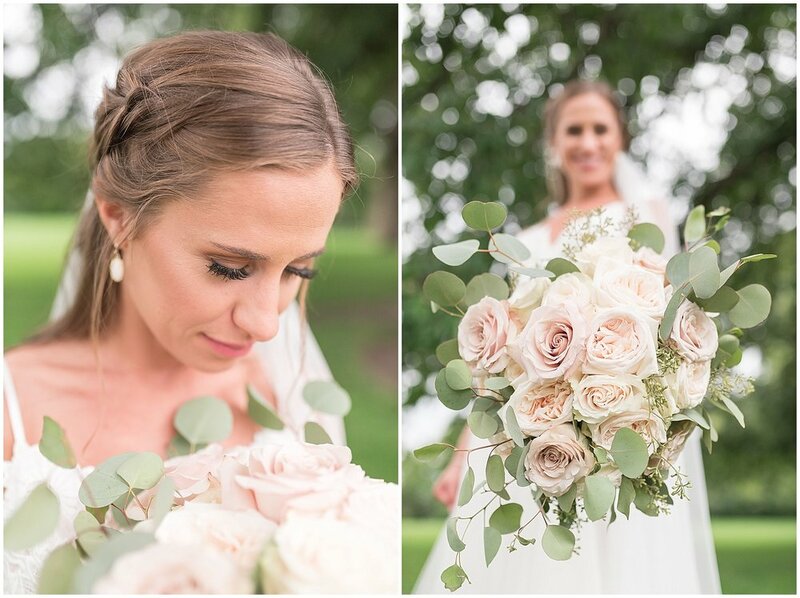 A few other shout-outs: Flowers by Oberer's, Day of Coordination by Nicole Silvernell, Philip's ring by Lux Woods, Michelle's ring by Shane Company, Beer glasses by Intricate Creations, Engraved tie clips by Yellow Heart Originals, Michelle's dress by Something Wonderful, and Bridesmaids' Hair by Giest Beauty Bar. 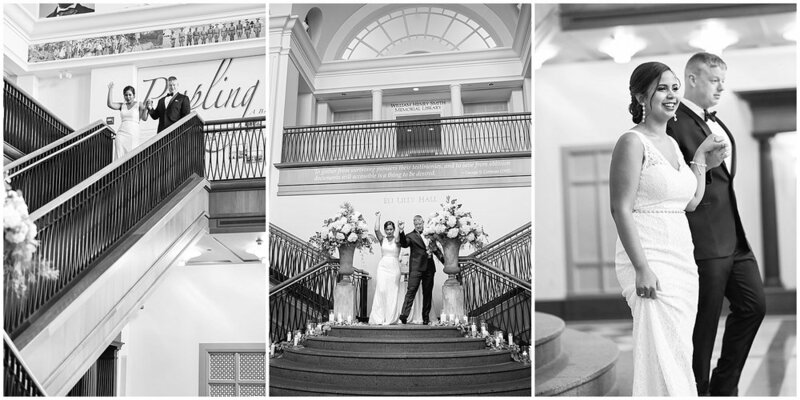 It was truly a joy and honor to be a part of your wedding day, Michelle & Philip! 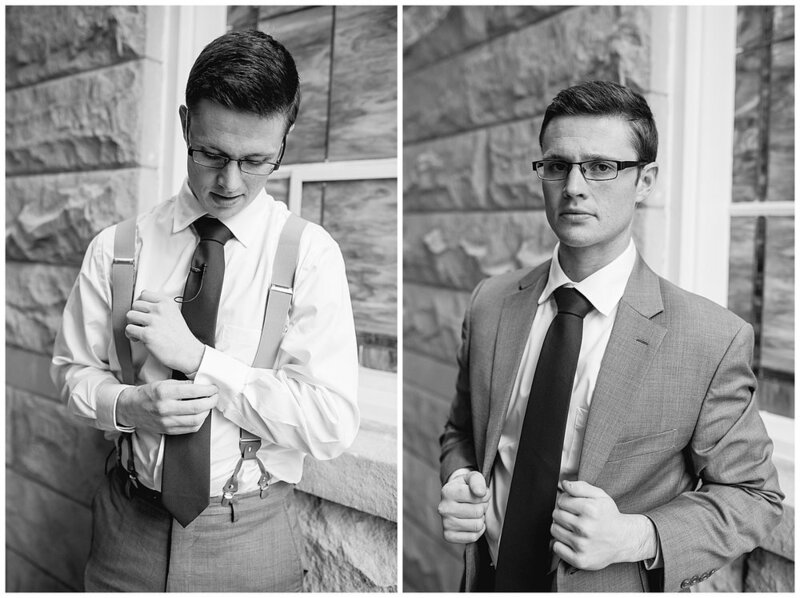 Special thanks to Rebecca Hampton Photography for helping me capture this day for you guys. We hope you enjoy marriage...it's the best gift ever. 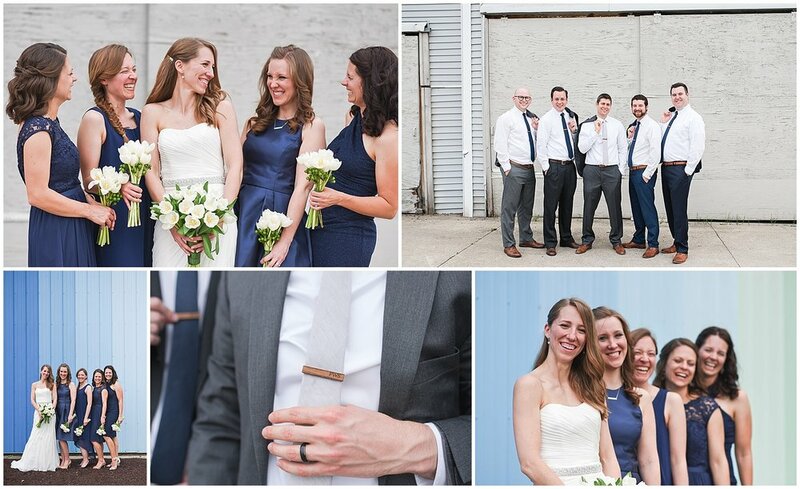 Make-up is applied with care, the pocket square is folded just so, and the rings are safely pocketed away. 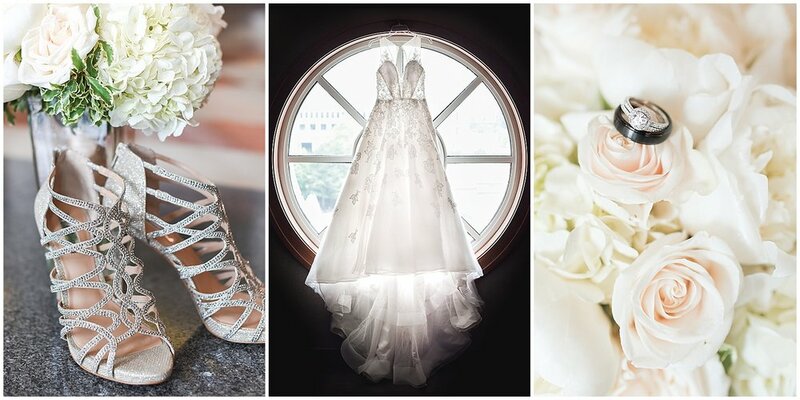 And in just minutes, this gorgeous bride walks down the aisle to her groom. 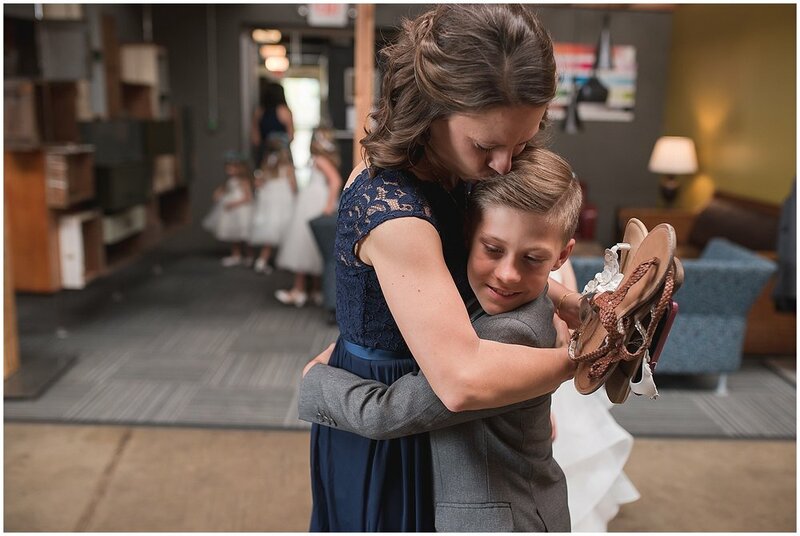 The ceremony was filled with joy and a true gratefulness for what God has given each of them and for Him being the best foundation for their days ahead. 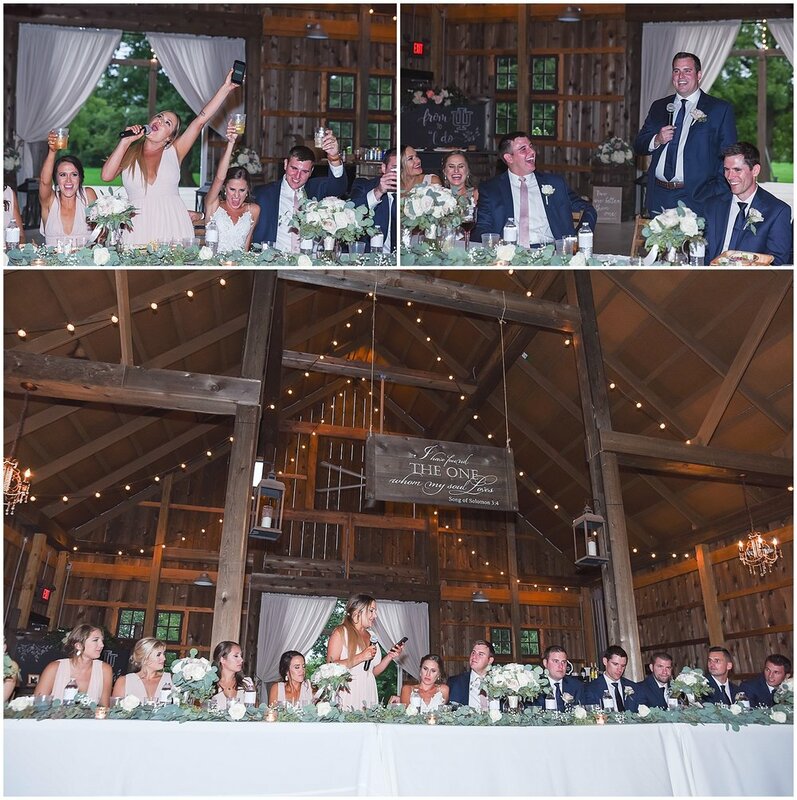 Metamora Fields did not disappoint as we all began one of the best celebrations ever. Elegantly decorated and cozy-warm away from the October flurries outside! May God bless you two for many many years to come. Marriage already looks good on you. 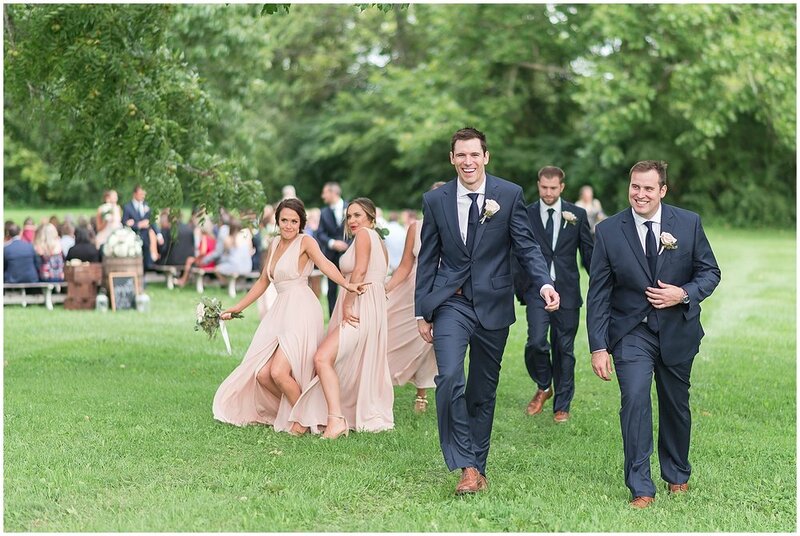 Guests waited anxiously as the wedding party began walking down the aisle. 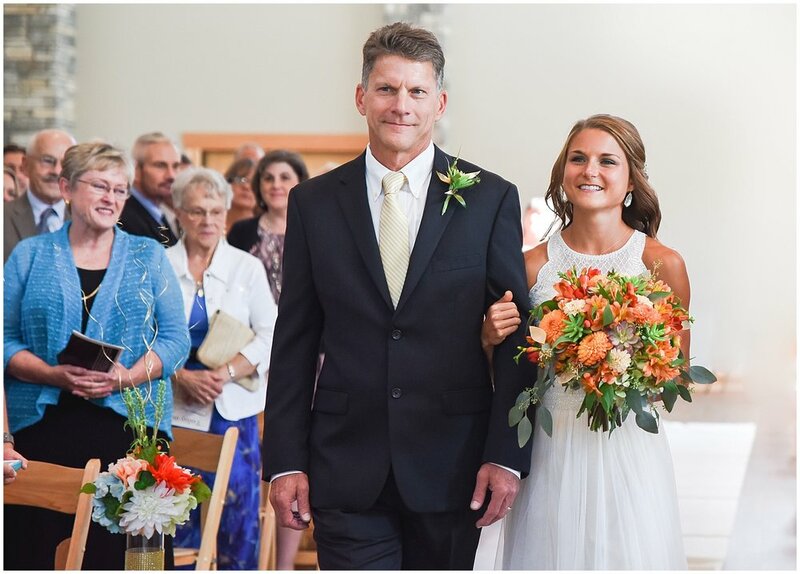 Chelsea was escorted by her mom, and her sweet dad watched from those beautiful clouds above. 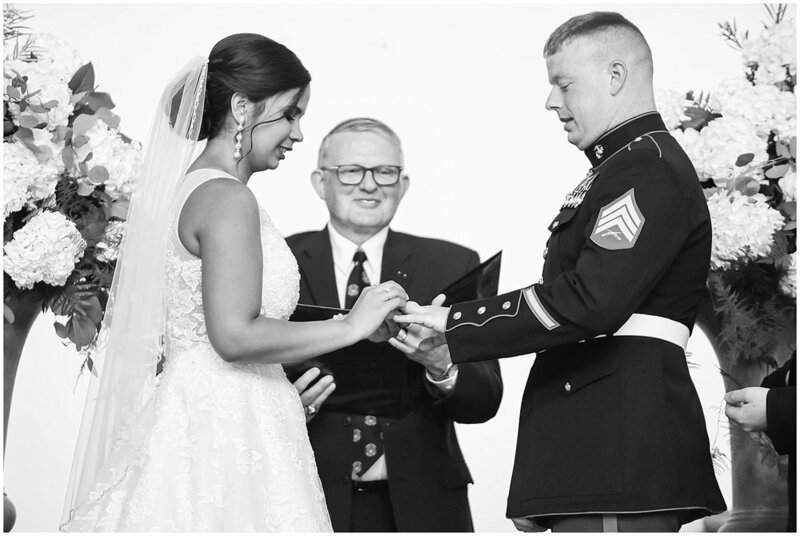 It was a perfect ceremony in every possible way. We all had a bit more fun capturing the moment in time when all of Sean & Chelsea's beloved family and friends were together...even this World Race bunch representing many states. 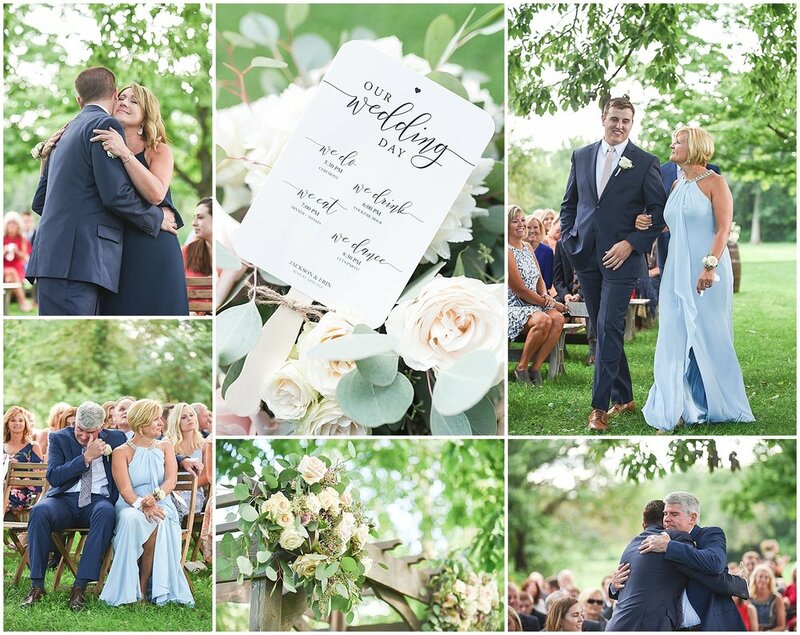 And then the first dance, a few sunset pictures, and an emotional mother/son and father/daughter tradition...held tight by the many strong and loving men Chelsea still has on this earth as cherished mentors. I doubt there was a dry eye in the crowd. Oh, and cake...can't forget the cake! 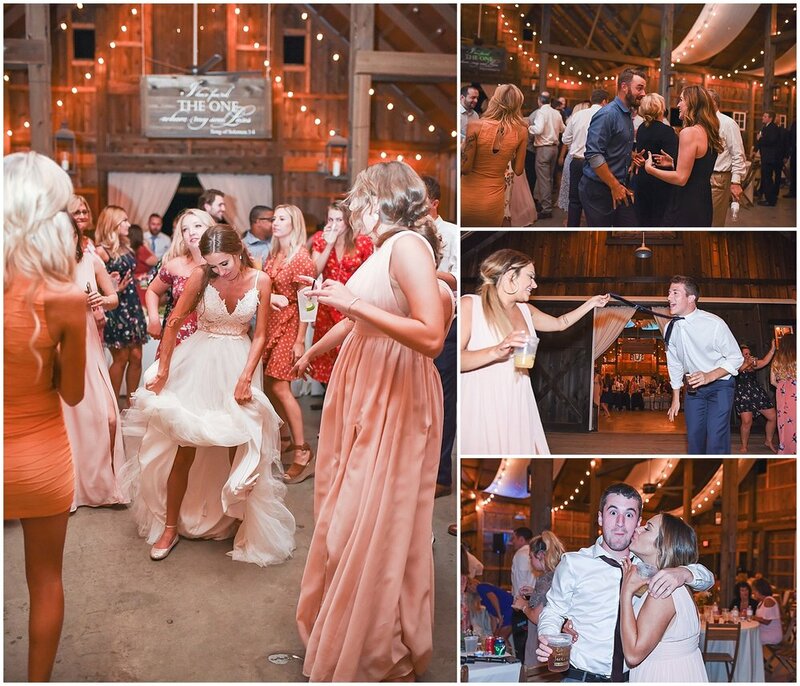 Before the storms came in, the dance floor was busy and laughter filled the air. 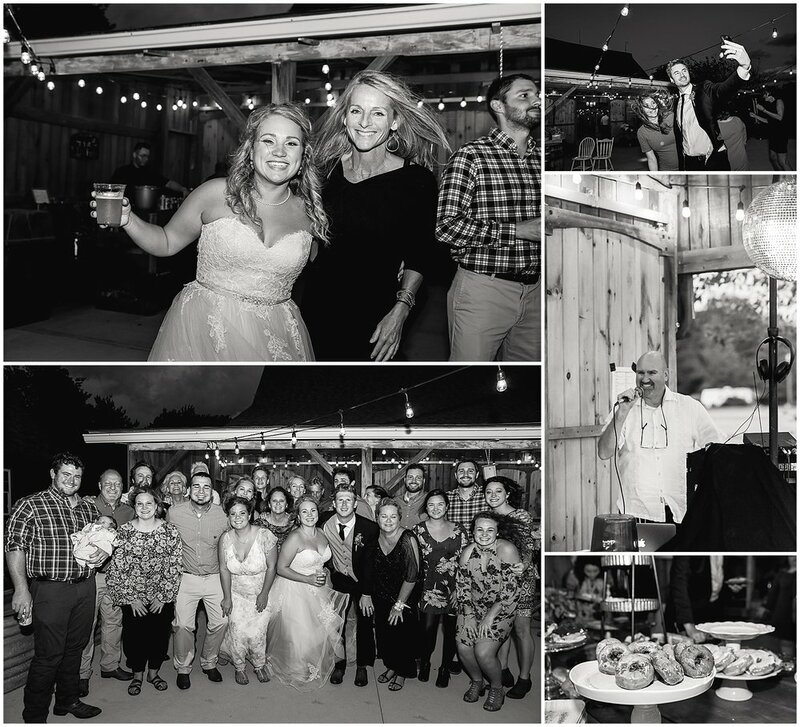 It was truly a celebration of such an amazing couple. 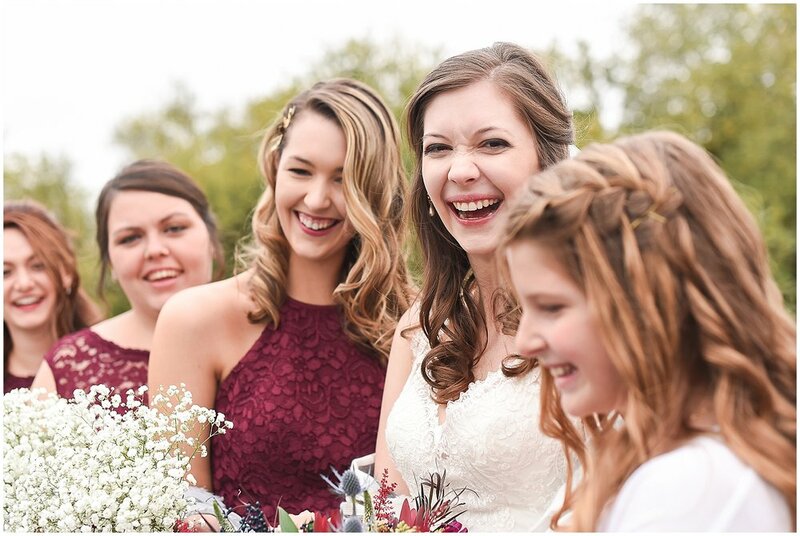 Mackenzie cherished the preparation time with her mom and all her closest friends. Everyone was calm, joyful, and trying to soak up every detail of every minute. She is stunning, isn't she? And Evan was relaxing with his guys in what Mallow Run calls the 'man cave' before the ceremony. 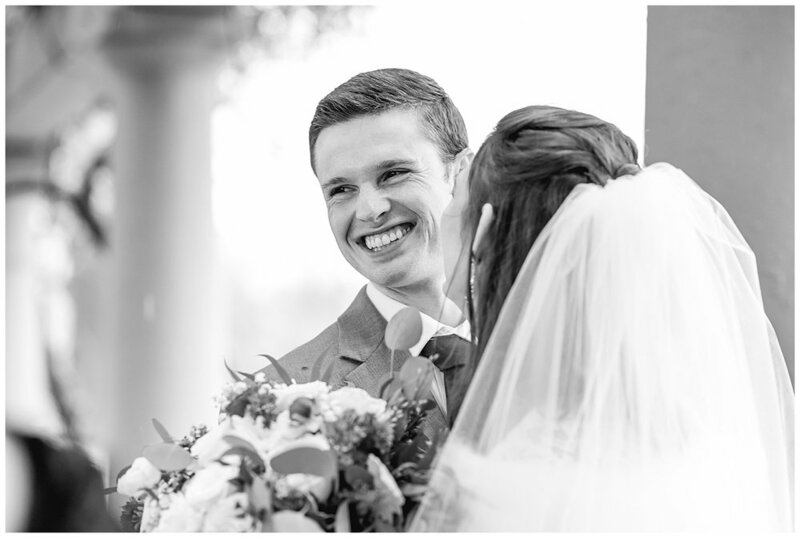 This handsome groom was so ready to see his bride though. And the wedding party? The sweetest that they come. 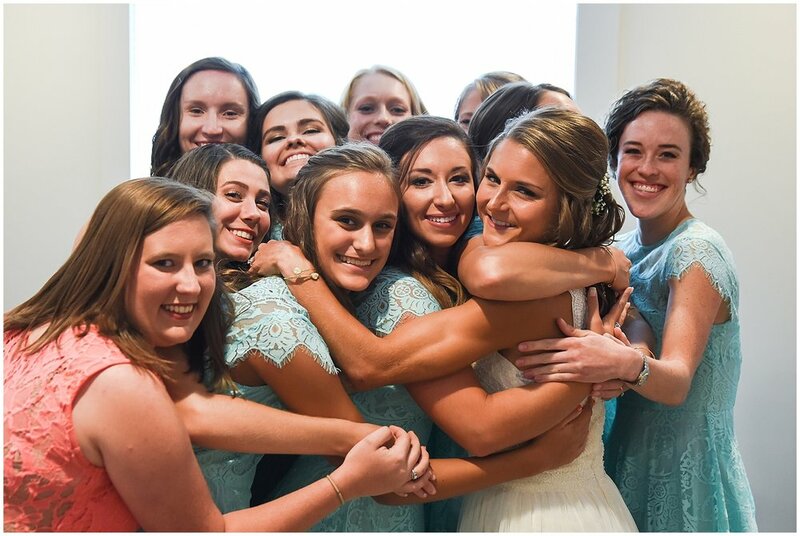 These lovelies were all smiles as they helped Mackenzie celebrate. 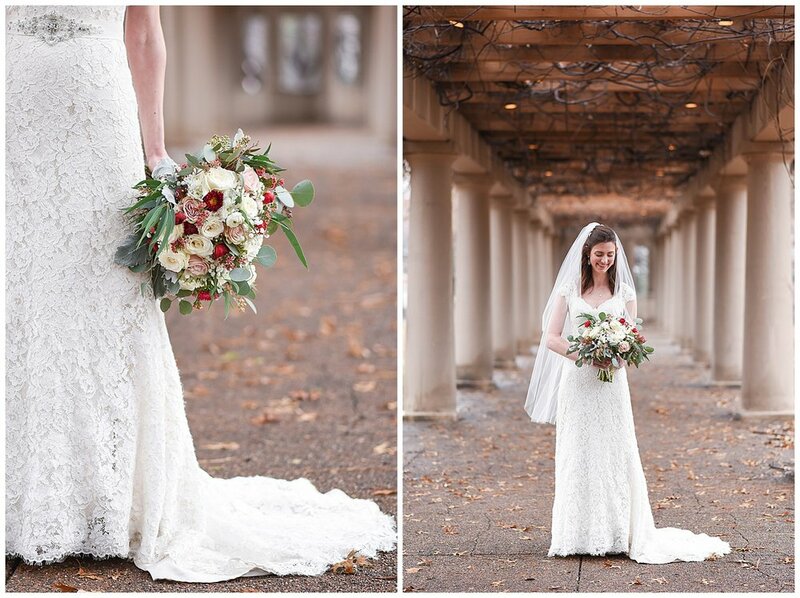 This bride has certainly been blessed by so many wonderful friends and family. Evan had quite a crew of great guys too. And a mom that was all smiles all day. 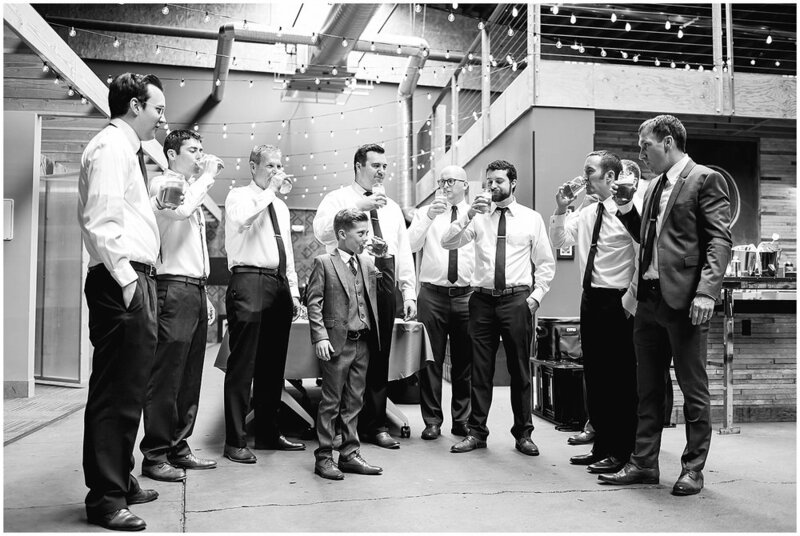 It was clear that any of them would do anything for Evan and were so honored to be a part of his wedding day. Preparations are done. Two hundred guests have arrived. String quartet begins to play. Just look at Evan waiting patiently for Mackenzie to round the corner and come down the long aisle. They did not see each other ahead of time, so it was truly a moment to remember. 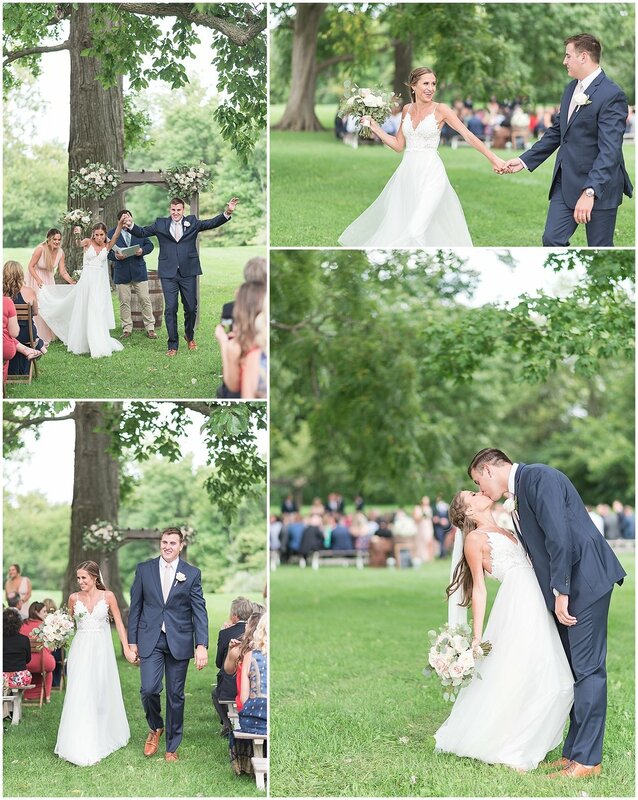 The ceremony was perfect in every way...not to mention gorgeous. Have I mentioned how beautiful and sweet this wedding party is?? 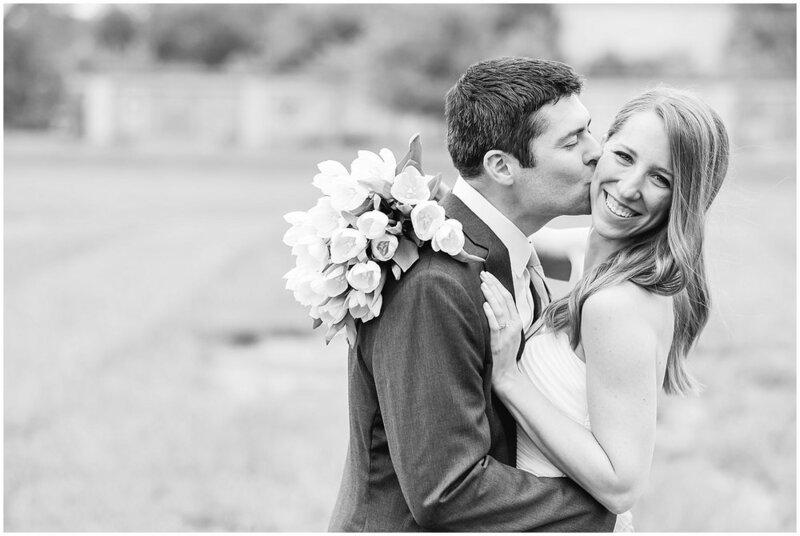 After their first meal together as Mr. & Mrs., they snuck out of the reception to enjoy sunset on the winery's grounds. The sunset was unreal. A true gift from God on their wedding day. 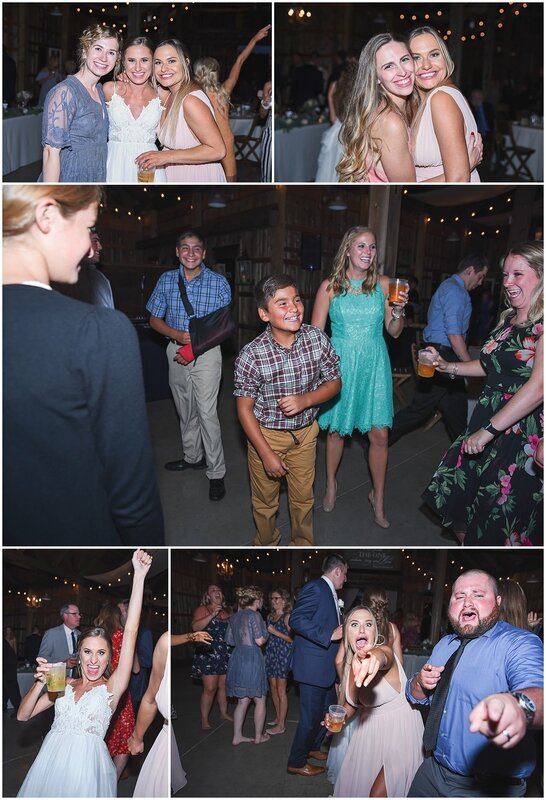 The reception was nothing but fun. 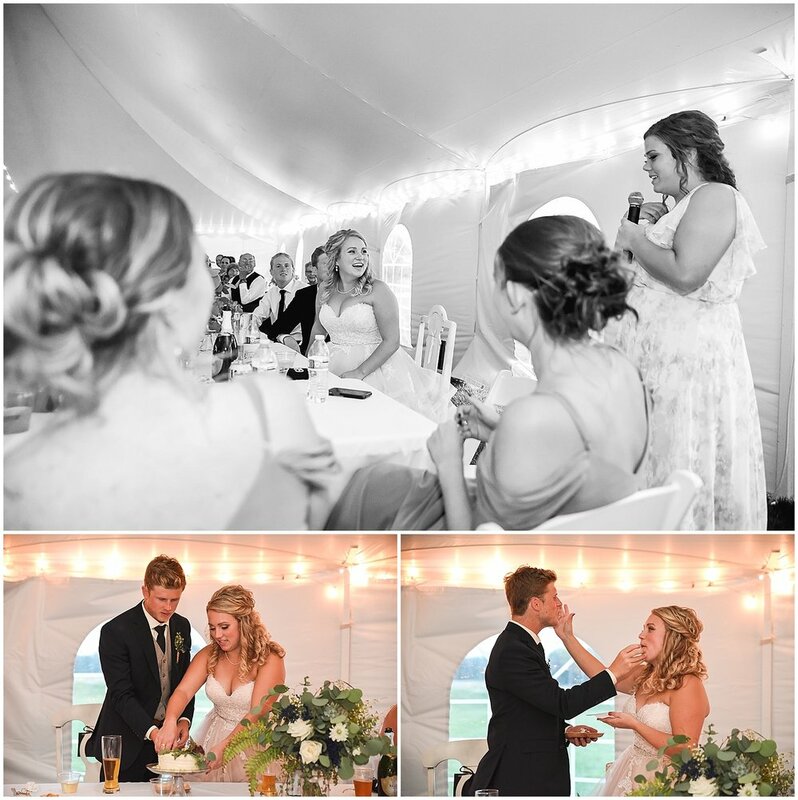 Dancing, talking, eating, and yes, she did shove a little cake in his face. And yes, she did have a toy gun in her garter. And yes, there was a bit of fighting and diving for the bouquet and garter. So fun is an understatement. It all ended with sparklers and a Corvette exit. Perfection. 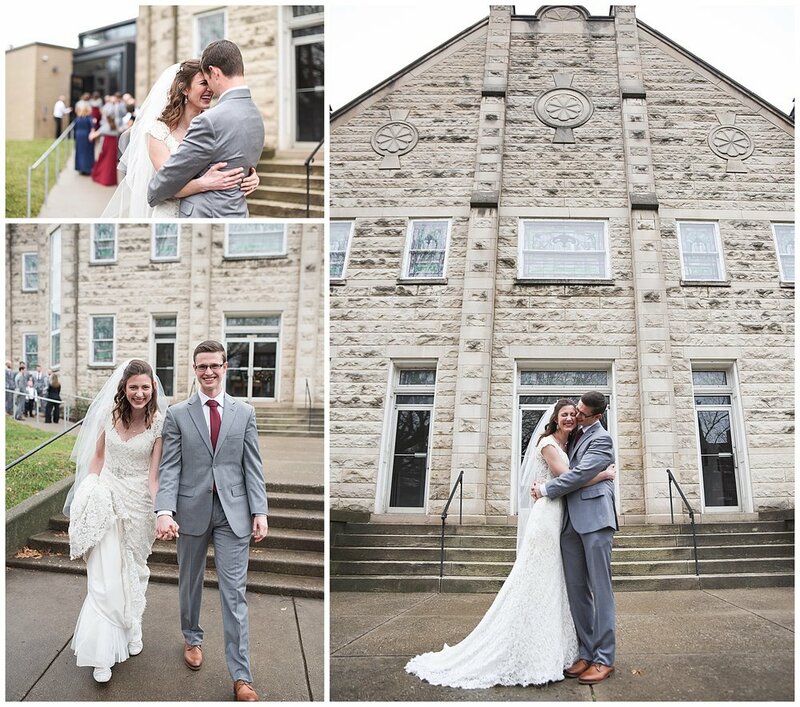 Thanks for letting me be a small part of your wedding day, Mackenzie & Evan. You are undoubtedly going to enjoy many wonderful years of marriage together with God as your foundation and focus. Congrats!